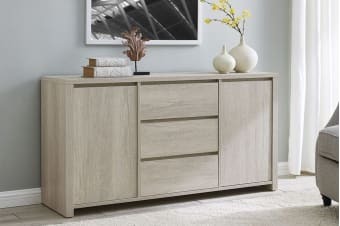 Boasting huge storage space and beaming with stunning textured grain finishes, this buffet is the perfect statement piece to make your dinnerware sets, books and family photos pop. 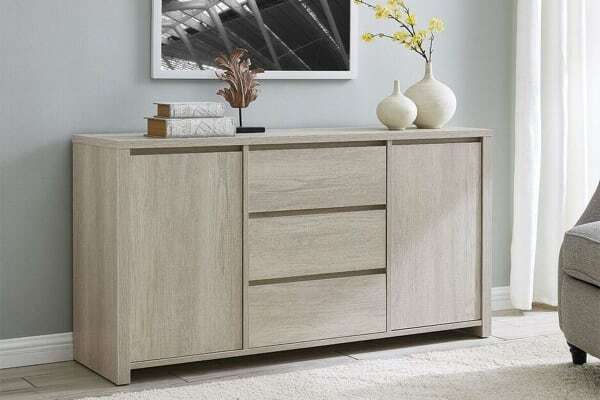 Whether you’re organising clothes and accessories or toys, board games and other household tidbits, you’ll love the huge storage capabilities and stylish textured grain finish of the stunning Shangri-La 3 Drawer 2 Door Buffet – Alta Collection. 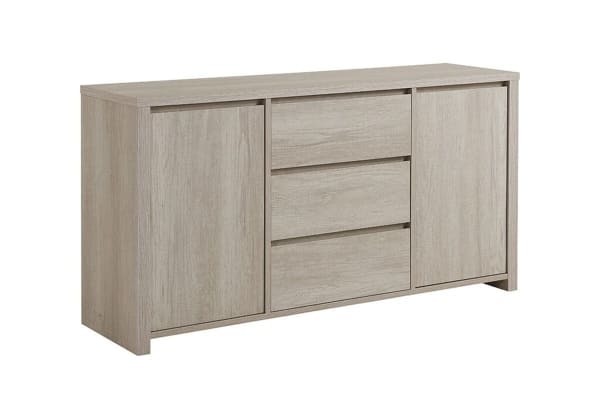 Built with three spacious drawers and two doors with adjustable shelves to tailor your compartment needs, this gorgeous buffet comes with ball bearing metal sliders and an effortless pull finger design, giving you easy access to all your things, no matter how heavy or full your drawers get.